The hijacking of an oil tanker on its way to Mogadishu, Somalia’s capital, has sparked international attention. For almost five years nothing was heard from the Somali pirates. International naval patrols as well as self-defence measures and armed security guards on ships had, it seemed, solved the problem. Between 2008 and 2012 hundreds of merchant vessels transiting the Western Indian Ocean were attacked. The area became the most dangerous water way in the world. Piracy became a threat to international trade, but also for the development of regional countries. The hijacking of the Aris 13 – the first involving a large commercial vessel since autumn 2012 – begs the question: have the pirates returned? 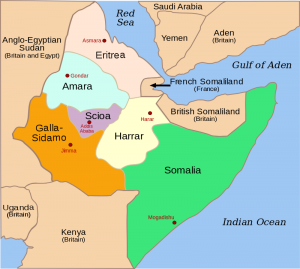 When the Aris 13 was boarded by Somali hijackers and steered to the coast of Puntland, a familiar Somali style script was played out. Many commentators expected a humanitarian tragedy to unfold for the eight Sri Lankan crew on-board. Familiar questions were asked: Who would pay the ransoms? Who would lead the negotiations? Was the vessel adequately insured? Similar cases in the past have led to ordeals that have lasted months, and sometimes years, for seafarers. Fortunately, the situation was quickly resolved. The tanker was destined for Mogadishu and the oil on board was the property of a Somali businessmen who successfully negotiated the release of the vessel and crew directly with the hijackers. No ransom was paid and the vessel released. But, the question must be asked – what if? What if the cargo had not been the property of a Somali? What if the ship had not been destined for a Somali port? What if innocent crew were injured or killed in the hijacking? For academics, piracy experts, and naval practitioners the hijacking didn’t come as a surprise. They have continued to alert the international community and the shipping industry about the risk that Somali pirates will go back to their hostage and ransom routine if the opportunity presents itself. In the research project Safe Seas based at Cardiff University we examine maritime security in the Western Indian Ocean. The initial findings of this research clearly show that the international community has to step up the game in the region. Although several capacity building projects are under way, these haven’t delivered yet. Too much emphasis is placed on piracy without considering the links to other maritime insecurities. The focus is on the state institutions and too little attention on the concerns of coastal communities. Indeed, Somali pirates had not retired from crime. Former pirates had reportedly become involved in other illicit maritime activity, such as contraband smuggling, after 2012. Yet, many came to believe that the situation was more or less under control. NATO ended its Operation Ocean Shield in December, and the two other major naval operations draw on minimum force levels. Discussions are underway to further scale down the international response, to revise the EU’s naval mandate or to shut down the major global coordination mechanism, the Contact Group on Piracy off the Coast of Somalia. Ongoing capacity building work has led to the confidence that Somalia and the countries in the region can take over from the international community soon. The hijacking of Aris 13 was a warning signal that any over-confidence in the international response, complacency within the shipping industry or the belief that Somali piracy is over, is misguided. The Aris 13 hijackers justified their operation, by pointing to the continued existence of illegal fishing in Somali waters. Illegal fishing and other maritime insecurities provides a justification for piracy within disadvantaged coastal communities. It also damages prospects for sustainable development of Somalia’s ocean resources and undermines trust in national institutions and international capacity building efforts. Aris 13 will not be an isolated incident unless the international community sends out a strong signal to stay engaged and continue to build the capacities of regional states to manage their own security needs. There is a risk that the hijacking of the Aris 13 might embolden other pirate groups to attempt fresh attacks. But if the current naval and defensive measure remain intact, it’s unlikely to escalate beyond manageable levels. Ultimately, these activities can only provide short term solutions to piracy. The conditions that allow piracy to thrive still exist in Somalia. It’s vital, therefore, that the international community continue to develop innovative and regionally appropriate ways to build the capacity of western Indian Ocean states to take ownership of their own maritime security. So while the pirates may be down, they are not out – yet.